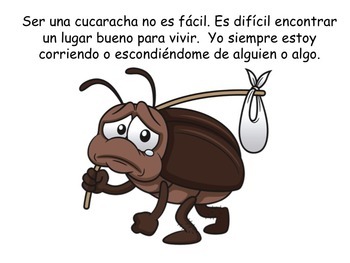 This is the Spanish version of the story Cockroach. Monae’s Books are Interactive Stories used for developing and improving receptive and expressive language skills for children with language and/or learning disabilities. These books target vocabulary development, social skills, and behaviors. Teachers and Speech-Language Pathologists will find these stories make teaching those skills fun and easy. And because the books are so much fun, they can be used with 2-6 year old typical peers. Parents, grandparents, and all caregivers will enjoy these simple little stories. These books can be used during circle time with your students or one-on-one. 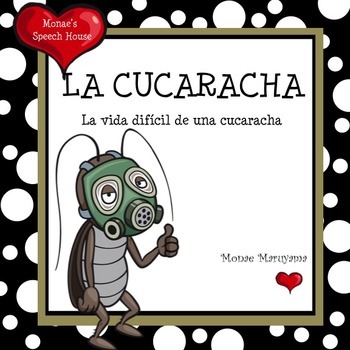 The books are great for non-verbal and verbal students. Although the stories were originally created for students in early childhood programs/autism (3-6 year olds), they have been used with older children, depending on the level of the student. You can adjust your teaching methods (differentiated instruction) to meet the needs of the individual. The books can also be used for general education classrooms (probably k-2). The books have extra pieces at the end of each story that can be laminated so the students can match (with Velcro) to the correct page while reading the story. The books can also be used on a Smart Board or iPad, if preferred. If used on a Smart Board, the touch detection will allow students to identify pictures by pointing/tapping the board. You can use the books to target receptive and expressive goals; which include: following directions, matching, making choices, pointing, imitating words, yes/no questions, or answering WH questions. 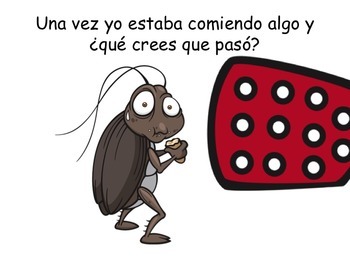 Stories that include extra large pieces at the end are for the students to “put in” or “take out” depending on the story. Those large pieces can also be laminated and then a Ziploc bag can be attached to the large object. Some of the books that target spatial concepts (in, under, over, on, etc.) have an extra set of larger pieces at the end to laminate and have the student place in the correct position. My website/blog explains other ways to use the books in better detail. These books cover a wide variety of language goals. Below is a list of some of them. The student will demonstrate the ability to identify vocabulary words based on pictures and verbal labels. Student will identify 2-3 attributes. The student will name/describe workers and the tools/instruments they use. The student will identify body parts and their functions. The student will demonstrate the ability to receptively and expressively identify spatial concepts. The student will match recognize words based on five senses. The student will name items based on a theme. The student will demonstrate an understanding of prepositions by following directions. The students will recognize and repeat words that rhyme. The student will demonstrate an understanding of words used to describe basic shapes. The student will identify animals and the words associated with the sounds each animal makes. 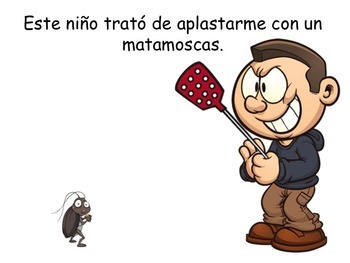 The student will sequence and tell a simple story based on pictures. The student will answer yes/no questions.